Boating accidents can cause great damage and injury to persons. 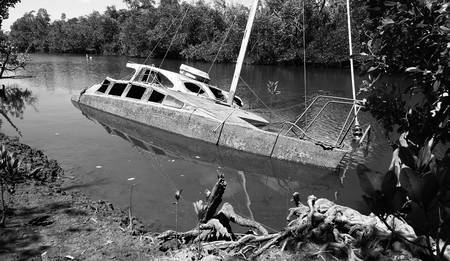 In some situations, an accident caused by a boat can result in lawsuits due to negligent behaviour (as related to the accident). First, and foremost, the operation of machinery, like a boat, requires proper training and safety measures. Always ensure a person is qualified to operate the boat. If an accident occurs due to negligent behaviour, the injured victim can bring forth a lawsuit in order to receive damages from the negligent party. The operators of a boat have a duty of care to others that must be met. Accidents can happen at any time, and do not necessarily arise out of the wrongdoing of the boat’s pilot, operator, or captain. They can occur because of a collision with another boat, object, land, or weather conditions. Furthermore, the passengers, owners, manufacturers, and more can also be sued for negligence. The aforementioned is the general list of people that are named as the defendants in a personal injury lawsuit. However, the plaintiff should only be naming in a lawsuit those who failed to act in a reasonable manner within the set circumstances. Given that product liability laws exist in California, if the injury occurs as a result of the designing, manufacturing, or selling of a defective product of the boat, those in charge of the aforementioned sectors can be held liable. Wrongful death lawsuits, as a result of boating accidents, can also be brought forth by the deceased’s family. If damages are awarded to the plaintiff, they will consist of economic and non-economic compensatory damages.